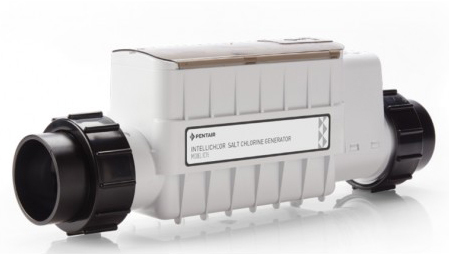 Salt-Water Chlorinators for added comfort with no harsh chemicals. A salt-water chlorinator is the most convenient way to keep your pool clean. Simply adjust the control to achieve the optimum level of chlorine. 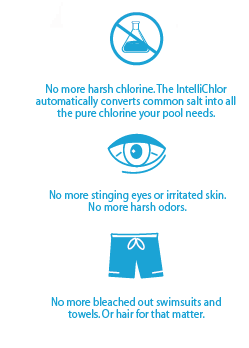 The salt-water chlorination unit does the rest, automatically producing a steady stream of pure chlorine to help keep your pool water clean, clear, and free of bacteria and other contaminants. 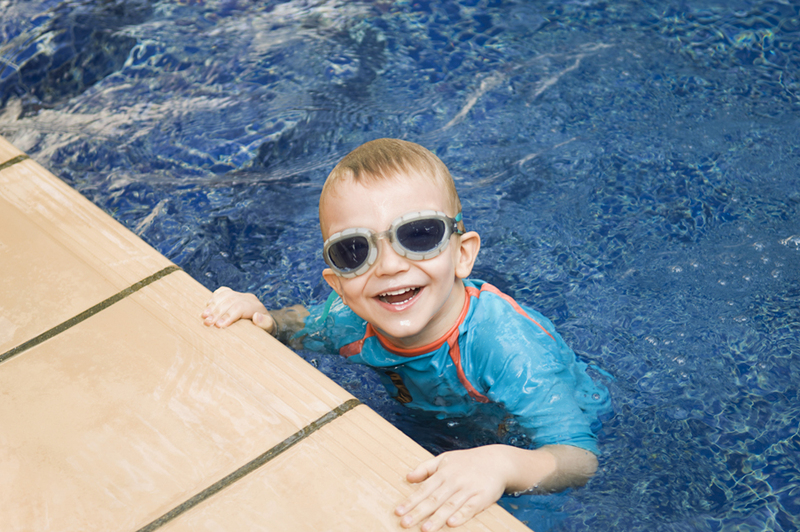 After the chlorine has disinfected your pool, it reverts back into salt and the cycle repeats. What could be easier? Automation Ready: Because the salt cells produce chlorine as needed, the pools require far less maintenance when compared to traditional chlorinated swimming pools. Affordable: For residential and commercial swimming pools.